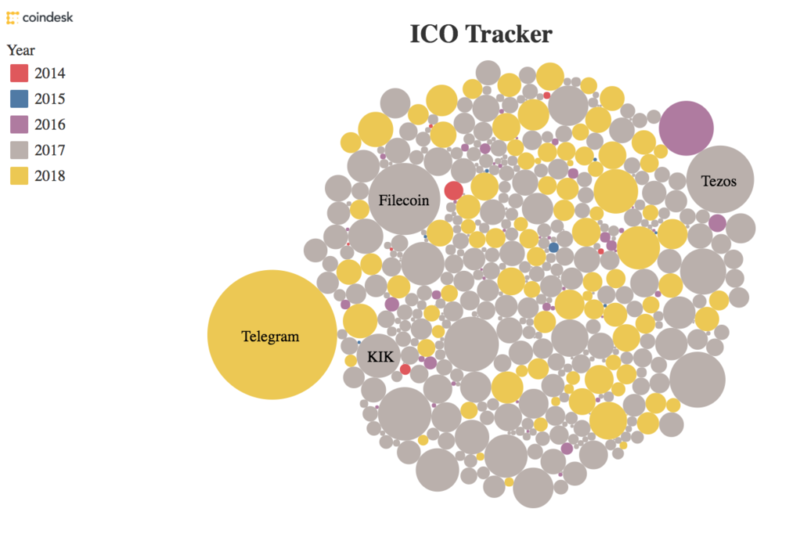 Initial coin offerings (ICOs) surged in 2017 with a total of US$6 billion raised through 884, according to ICO Data. 2018 is on track to surpass this number, with already US$3 billion raised through 380 campaigns. Telegram ICO expects this year to raise a world record US$850 million, exceeding 2017’s records of Filecoin with US$262 million and Tezos with US$232 million, according to data from CoinDesk’s ICO Tracker. Singapore has hosted 250 ICOs so far with some of the largest campaigns going towards the Fusion Foundation, a startup building an “inclusive cryptofinancial platform” which raised US$110 million last month, Quoine, a cryptocurrency exchange platform which raised US$105 million in November 2017, and TenX, a cryptocurrency payments startup which raised US$80 million in June 2017. Some of the latest ICOs that took place in Singapore include Electrify, a retail electricity marketplace business that raised US$30 million earlier this month, PolicyPal, an insurtech company and the first startup to graduate from the Monetary Authority of Singapore (MAS) fintech regulatory sandbox in August 2017 which raised US$20 million, and Bluzelle, a blockchain solutions provider and a partner of KPMG Digital Village which raised US$19.5 million in February in a lightning speed 24 hour campaign. Unsurprisingly, the vast majority of the startups that have opted for the novel fundraising method are tackling the sectors of blockchain, cryptocurrency as well as the broader fintech industry with its connected industries including regtech, insurtech and proptech. But as the ICO frenzy is gaining ground, startups in other industries are increasingly considering the funding method, as shown through the widely successful campaign of Telegram, a popular chat app. The ongoing Kodak ICO for its cryptocurrency KodakCoin, further demonstrates that token sales are appealing to both investors who are ready to pour millions to purchase digital tokens, and companies that are looking to stay relevant. KodakOne, the company behind the Kodak-branded cryptocurrency and its blockchain platform, has raised US$2 million in its pre-sale, according to ICO Drops. Overstock.com’s blockchain subsidiary T0.com Inc. is already planning to list KodakCoin as the first third-party security token to launch on the security token platform the firm is developing. Now even the failed singapore fintech hub Lattice80 is looking to raise capital through an ICO to fund its global expansion plans. But as Singapore emerges as a one of the preferred locations for entrepreneurs to conduct token sales, new challenges have arisen for regulators. Since mid-2017, MAS has issued guidance on the issuance of digital tokens in Singapore in order to safeguard investors and prevent money laundering and related fraud. 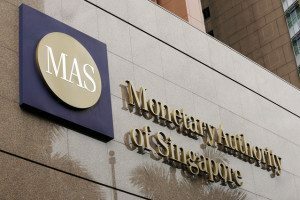 Singapore does not currently regulate cryptocurrencies but MAS does regulate activities involving them if they pose specific risks. For instance, it imposes anti-money laundering requirements on intermediaries providing cryptocurrency services. But the authority is now considering putting in place specific rules, and is currently assessing whether additional regulations are required for investor protector. For Anson Zeall, chairman of ACCESS, an industry association in Singapore promoting cryptocurrency and blockchain, the fact that MAS has been at the upfront of cryptocurrency regulation has enabled the ICO market to thrive in the city-state. “ACCESS members have raised over US$220m worth of fund in the form of cryptocurrencies. And obviously there’s more now,” Zeall said. Most recently, a young startup called PLMP-Fintech was established with an aim to tapping into the burgeoning sector in Singapore through the launch of an ICO advisory center. Co-founder Peter Lim told the Strait Times that the center aims to support companies looking to launch ICOs as well as buyers of ICO tokens who may not be tech-savvy. Lim, a former Economic Development Board Sprint Startup Enterprise Development Scheme entrepreneur, said his firm will sign a memorandum of understanding with an international counterpart to jointly establish the center.